Royal Rajasthan Wedding offers Royal Wedding in Rajasthan, Rajasthan Royal Wedding, Dream Wedding in Rajasthan, Rajasthan Dream Wedding, Weddings in Rajasthan, Rajasthan Wedding Celebrations, Wedding Ceremonies in Rajasthan, Royal Weddings in Rajasthan, Rajasthan Royal Wedding Packages, Royal Wedding Packages for Rajasthan, Royal Wedding Destinations in Rajasthan, Rajasthan Royal Wedding Tour, Rajasthan Royal Wedding Guide . 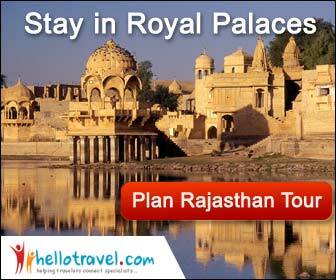 Royal Rajasthan Wedding, Marriages are made in heaven formalities are done on earth : choose bride or groom of your choice. Come and Enjoy historical venues of your choice. In India we do have tradition for typical Indian style & Rajasthani traditional weddings. We welcome you for once in a life time wedding of Rajasthani style we arrange all inclusive wedding for your. The wedding day usually commences with a fast for both the bride and groom. The groom will leave his house accompanied by his best man and one of his younger female relatives whose job it is to keep the groom awake by shaking a metal pot filled with a few coins and a betel nut over his head. The history behind this curious custom is that weddings in India were traditionally held in the evening at which time many a groom might succumb to slumber! On leaving his house, the groom's car may be impeded by the younger female members of his family who demand a "gift" in exchange for allowing him to leave for his wedding ceremony. The majority of the wedding ceremony will take place in a Mandap (the four-pole canopy at centre stage). The sacred fire in the Mandap symbolises not only the illumination of the mind, knowledge and happiness but is also a clean and pure witness to the ceremony as it progresses. Kumkum (vermilion) - red powder used for marking the forehead to signify good luck and to say that your soul (husband) is with you. The wedding day starts with a prayer invoking Lord Ganesh whose divine grace dispel all evils and promotes a successful and peaceful completion of the ceremony. This is a prayer to the nine planets of our Solar system. Ancient Indian studies indicated that various celestial bodies have an influence on the destiny of every individual. The effect of the nine planets is meant to be the most profound. During this puja the Gods associated with these planets are asked to infuse courage, peace of mind and inner strength to the bride and groom to help them endure life's sufferings. The bride's mother welcomes the bridegroom with a garland and she then escorts him to the mandap. The father of the bride washes the right foot of the bridegroom with milk and honey. At the end of the welcome, a white sheet is held to prevent this bridegroom seeing the arrival of the bride. The bride is escorted to the mandap by her maternal uncle (Mama), female cousins and friends. In some wedding ceremonies she may be carried in a small carriage to the mandap. Consent of the parents is obtained for the wedding to proceed. The bride's parents give their daughter to the groom by putting the bride's right hand into the groom's right hand (Hastamelap, joining of hands) while reciting sacred verse. The curtain separating the bride and groom is then lowered and the couple exchange flower garlands. The elders of the house place an auspicious white cotton cord around the couple's shoulder's to protect them from the evil influences. This also symbolises the couple's bond. The groom holds the bride's hand and they both take vows to love cherish and protect each other throughout life. The priest ties the wedding knot as a symbol of the permanent union between the bride and groom as husband and wife. The priest sets up a small fire in a kund (cooper bowl). Agni (fire) is the mouth of Vishnu and symbolises the illumination of mind, knowledge and happiness. The remainder of the ceremony is conducted around the fire. The bride places her right foot on a stone. The bridegroom tells her to be as firm as the stone in his house so that the can face their enemies and the difficulties of life together. Three obligations are offered to the sacred fire. The brother of the bride puts into the bride's hand parched rice, half of which slips into the bridegroom's hand. Mantras are chanted. The bride prays to Yama, the God of Death, that he grant long life, health, happiness and prosperity to the bridegroom. Moksha - liberation from everything in life. The groom, signifying his contribution in helping the union to attain dharma, artha and kama, leads the first three rounds. The bride signifying their continual journey spiritual liberation leads the last round. 1.Let us take the first step to provide for our household, keeping a pure diet and avoiding those things that might harm us. 2. Let us take the second step to develop our physical, mental and spiritual powers. 3. Let us take our third step to increase our wealth by righteous and proper means. 4. Let us take out fourth step to acquire knowledge, happiness and harmony by mutual love, respect and trust. 5. Let us take the fifth step so that we may be blessed with strong, virtuous and heroic children. 6. Let us take the sixth step for self-restraint and longevity. 7. Let us take the seventh step to be true companions and remain life-long partners by this wedlock. The bridegroom blesses the bride by putting kumkum or sindhur (vermilion powder) at the parting of her hair (or on her forehead) and by giving her a sacred necklace (Mangal Sutra). The Mangal Sutra represents the couple's togetherness, love and sacred union. The bride and bridegroom touch each other's heart reciting promises to each other. The bride and groom feed each other four times for nourishment of the bone, muscle, skin and soul. The priest blesses the bride and groom. Flower petals and rice are given to the guests to shower them on the bride and groom with blessings. The wedding guests can then give their individuals blessings to the bride and groom and once completed, the marriage ceremony ends. Guests are invited to enjoy a sumptuous meal with the newlyweds. The farewell to the bride by her family and friends is a very emotional episode. The bride is leaving her parents home to build a life with her husband and his family. She leaves with tears of joy and sorrow. Before the wedding car departs for the Hindu temple, the priest will place a coconut under the front wheel of the car and wait for it to be broken by the weight of the car. The historic significance of this is that in the old days the couple would use a horse drawn carriage and the breaking of the coconut ensured that the vehicle was roadworthy for the journey. The pilucinchuanu concludes the entire ceremony.